Why skimp on comfort and style? 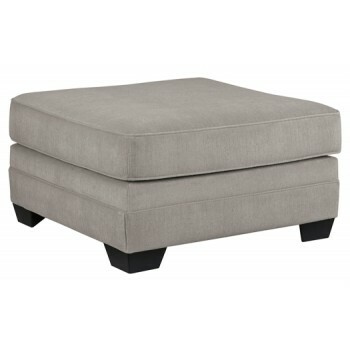 With this oversized ottoman, bigger is definitely better. Its generous scale offers plenty of room for everyone to kick up their heels. The ottoman’s firm cushion serves equally well as a table surface when topped with a serving tray. Soft chenille upholstery in a richly neutral pebble tone is the essence of easy elegance.